I love roses. I am a fan. The wonderful fragrance, beauty, colour, form – what’s not to like? … Just not on February 14th. Instead, why not choose a beautiful arrangement of seasonal flowers? 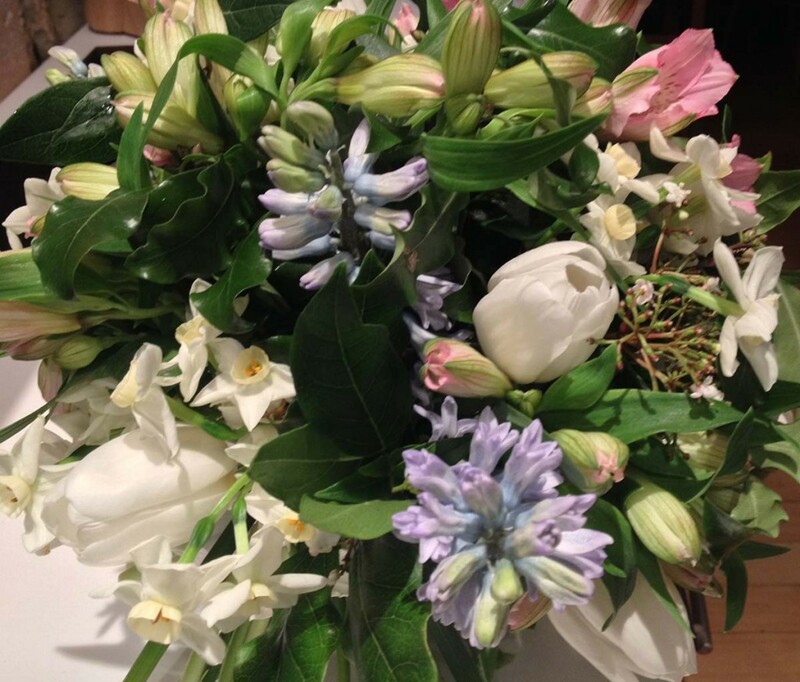 I have put together a hand-tied bouquet of paperwhites, tulips, Alstroemeria and hyacinth, mixed with British-grown foliage. It’s beautiful, smells wonderful (something you don’t get from a rose at this time of year) and you won’t need to take out a loan to buy it! If you would like to order a seasonal bouquet for Valentine’s Day then drop me an email before 10th February. They come in two sizes: a small compact bouquet is £20.00, and the larger version (as seen in the picture) £30.00. Delivery in south-west London is included in the price (or anywhere else in London for £6.00).